Our 3rd annual St. 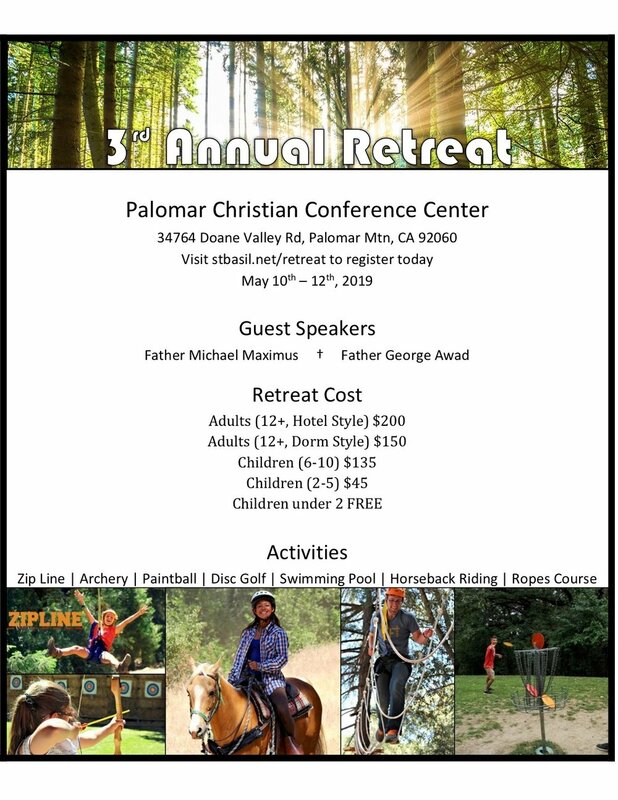 Basil Family Retreat will take place from May 10-12, 2019 at the Palomar Christian Conference Center (approx 1hr 20min away) tucked just south of Julian. This is a joint retreat with Holy Cross Coptic Orthodox Church in San Marcos, CA. We have an incredible committee preparing the best retreat we’ve had yet and our speakers will be Father George, Father Michael and, pending a flight, Father Antony. Please sign up here.